This summer eBay will roll out Guaranteed Delivery in the U.S., providing faster and more precise delivery dates for shoppers. At launch, eBay will guarantee delivery in three days or less on 20 million eligible items – millions of which will offer free shipping. In addition, shoppers will also be able to search for and filter items by 1- and 2-day delivery. 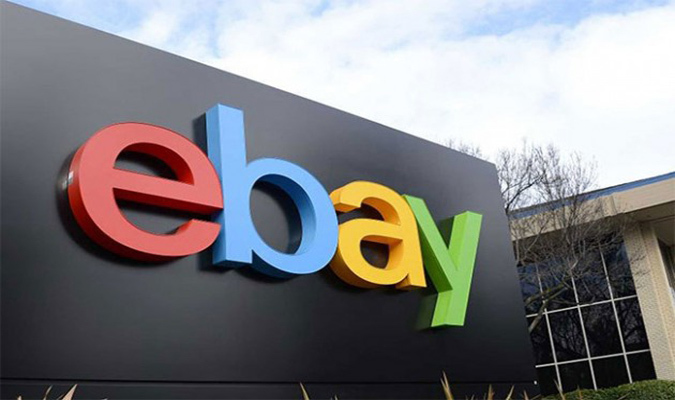 “While the majority of items on eBay already ship within three days or less, as well as for free, Guaranteed Delivery will give shoppers even faster delivery options and the confidence that their items will arrive on time,” said Hal Lawton, senior vice president of North America at eBay. TripAdvisor on March 21 announced the winners of its Travelers’ Choice awards for destinations, recognizing travelers’ favorite places around the world. This year Bali, Indonesia is the global winner and New York City ranks number one in the U.S. for the seventh consecutive year. Award winners were determined using an algorithm that took into account the quantity and quality of reviews and ratings for hotels, restaurants and attractions in destinations worldwide, gathered over a 12-month period, as well as traveler booking interest on TripAdvisor. The awards honor 418 outstanding destinations in 24 countries across the globe. The Labrador Retriever does it again! In a press conference on March 21 at its new pet care space, AKC Canine Retreat, the American Kennel Club (AKC), the nation’s largest purebred dog registry, announced that the intelligent, family-friendly Lab firmly holds on to the number one spot on the most popular list for a record-breaking 26th consecutive year. While the Labrador Retriever continues its reign as America’s dog, the Rottweiler has been slowly but surely rising up the list over the past decade. The confident, loyal and loving Rottie was the eighth most popular breed in 2016, its highest ranking since landing at number two in 1997. The Rottweiler has risen nine spots over the past decade and is poised for a comeback. What are the worst-paying jobs in America for women? 24/7 Wall St. reviewed female weekly earnings as a percentage of male weekly earnings in full-time wage and salary jobs using data from the Bureau of Labor statistics to identify the 20 worst-paying jobs for women in America. The 20 jobs with the lowest pay equity between men and women range from first-line supervisors of food preparation and serving workers, a job in which the typical woman earns 72.8% of male earnings, to personal financial advisors, a job in which women earn 55.6% of what men in the same job are paid. The 68th edition of Keukenhof has started. The official opening was dedicated to Dutch Design and the new entrance building. Over 100 varieties of tulip are already in bloom at the park. At Keukenhof, spring has truly begun. Keukenhof is the place to enjoy the millions of flowering tulips, daffodils, and other bulb flowers this spring. Keukenhof’s theme for 2017 is “Dutch Design.” Dutch designers are globally esteemed for their ground-breaking ideas in the field of fashion, graphic design, architecture and furniture design. They inspired the theme for this Keukenhof season. Dutch Design has been incorporated into the bulb mosaic, one of the themed year’s highlights.